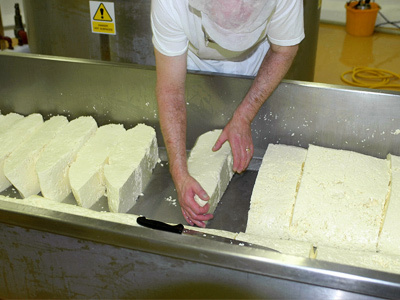 We open 7 days a week from 10am and the cheese making is normally completed by around 3.15pm. Shop closing time varies according to the season; always open until 4.30pm, later in the summer. Our Visitor Centre and Shop is wheelchair and pushchair friendly. 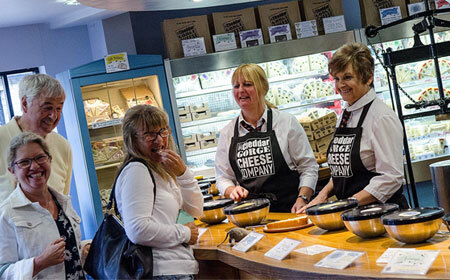 We have a small Visitor Centre in Cheddar where you can watch us make, mature and pack our cheese. Child friendly, with lots of information and illustrations on the walls, we run a 20 minute long film which summarises the daily make process should you prefer not to stay for the 7 hours real time experience! 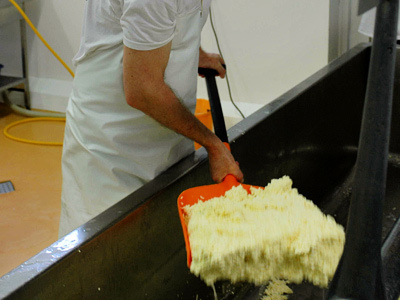 We produce our cheese by hand, in open vats using traditional methods. 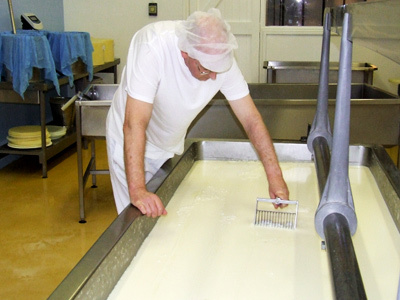 Watch our talented cheese makers transform a vat-full of local milk into a traditional, cloth-bound cylinder of cheese every day. 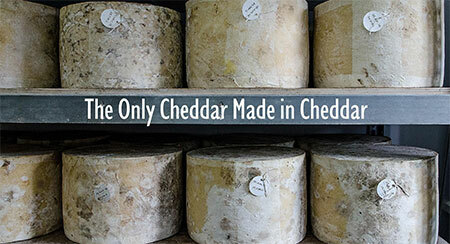 Artisan cheddar cheese making is fascinating to watch, and where better than within the village of Cheddar - the birthplace of cheddar cheese. 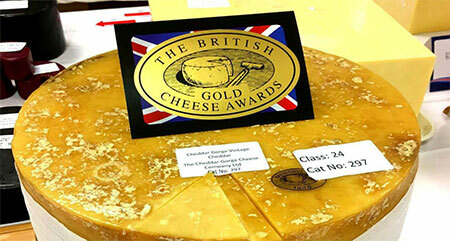 Once you have watched the cheese being made, do wander into our shop to taste it. 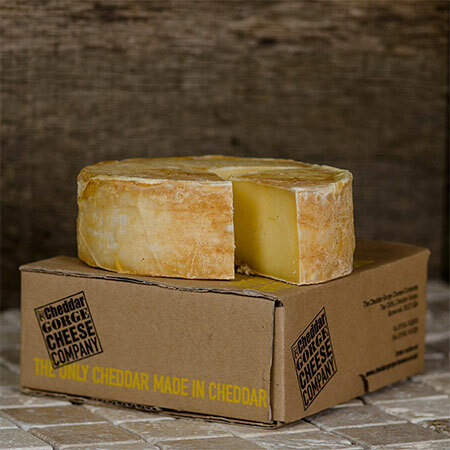 We have a wide range for you to try, from the young ’Mellow’ cheddar, more senior ’Mature’ and of course the venerable ’Vintage’ - depending how strong you like your cheese! 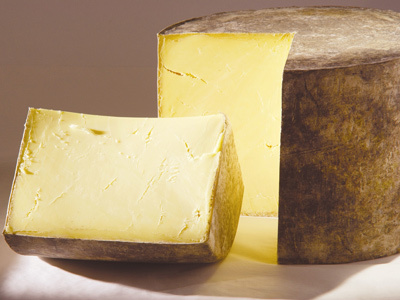 The complex ’Cave Matured’ is available to try too - this is a truly exceptional cheddar cheese which we mature in the nearby natural Cheddar Caves, thanks to the generosity and encouragement of Lord Bath and The Longleat Estate who own the Caves.